1977 Listed in Annual Report as Receiving Office of Casino. Tahmoor 1977 listed in Annual Report as receiving office of Picton. 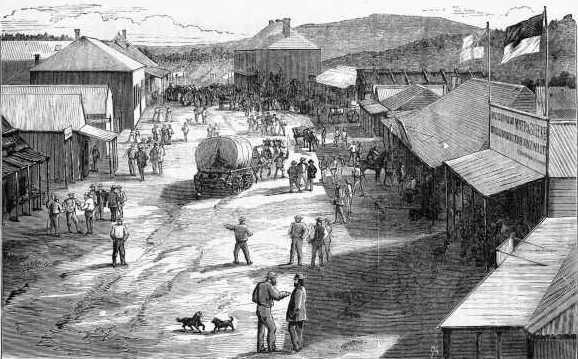 1872 wood engraving of Clarke Street by Samual Calvert from State Library of Victoria. Geoff Chapman advises: "At the time of withdrawal of Bank representation, the town appeared to be growing as The Western Advocate & Mudgee Guardian of 24/2/1863 reported the sale, by the Crown, of 36 town allotments. Tambaroora was the larger of the 2 settlements of Hill End and Tambaroora By the early 1860's it has a population of some 2000. By comparison Hill End (Known as Bald Hill until 1862) had only a few hundred residents However by the end of 1872 Hill End had overtaken Tambaroora as the major settlement with over 8,000 residents, a brewery, 27 pubs and 5 banks. This makes it seem feasible that bank's businesses were consolidated at Hill End in 1873". 1869 Opened (43rd Report); The branch was established on 10/9/1869 and the first premises were situated in Peel St in part of a building owned by a local solicitor. (Advised by Bernard McGrath, Manager Group Archives, NAB). 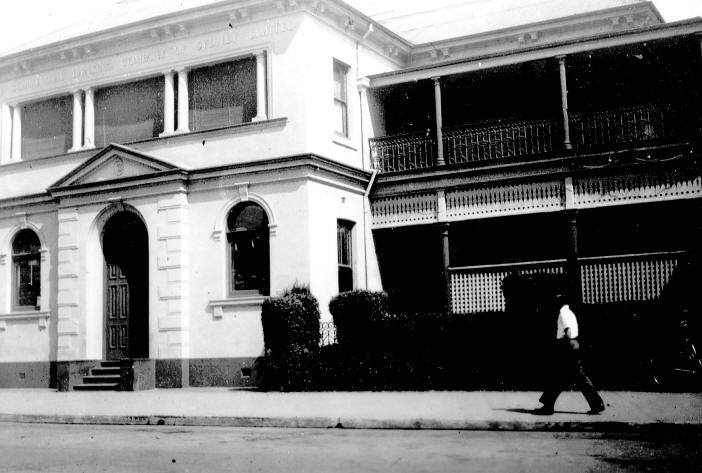 John Beer advised that the first Tamworth branch opened 24 August 1869 in Brisbane Street end of W. Smith Solicitor's building, according to "Chronological History of Tamworth by Green & Newman in the Mitchell Library. The Tudor Hotel is now on this site. 1874 In course of erection (51st Report); In 1873/74 a two storied building was erected containing banking chamber and residence which cost 2872 pounds. The architect was a Mr Hilly and the builder M Burke. (Advised by NAB Archivist Bernard McGrath). 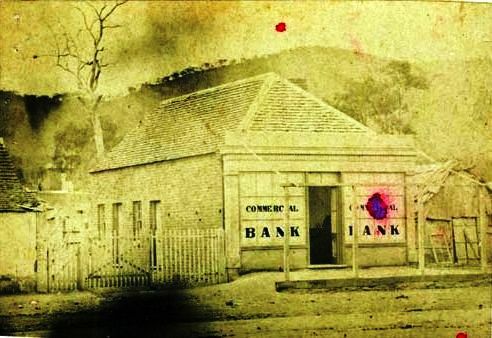 Photo of single storey premises from NAB archives must have been taken between 1869 and 1874 as the Bank's name appears boldly on the windows. 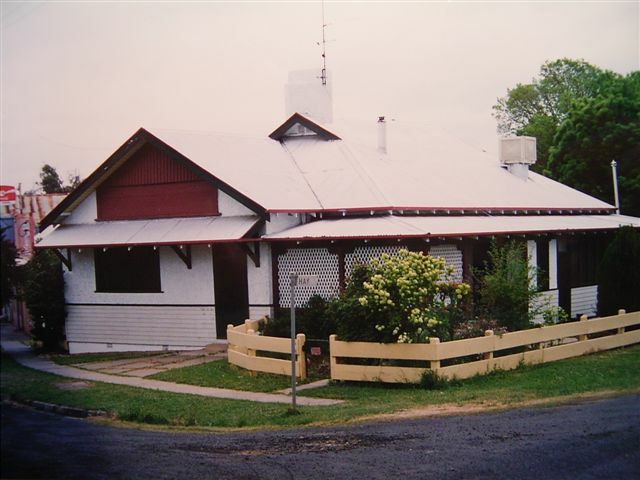 1889 additions by Mansfield Brothers including 2 storey residential extensions, at rear separate building, fuel shed, man's room and washhouse; lean-to store and pantry off dining room. Heritage Listed: The neo-classical style of the building makes it an imposing local landmark. 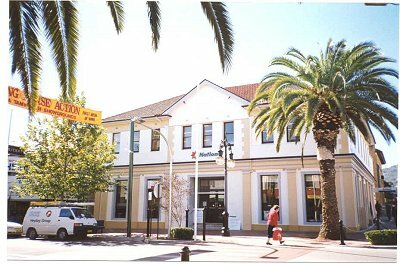 A large two storey commercial building with a hipped tile roof and gabled section over the front entrance with white stucco facades and painted relief pilasters at the street frontage and quoins at first floor level. Colour photo by Ron Armstrong. c.1972 when John Beer was relieving Manager Woodenbong, Divisional Mgr Cecil B Waddy called to Woodenbong & stayed overnight in Woodenbong Hotel. So this seems to prove if he was Div Mgr for Tamworth at the same time Northern Div included Tamworth & Tweed Heads unlike what NW Region was that extended from Tamworth to Bourke? 2001 colour photo Tamworth CC. 2007 business conducted from 202 Bridge St West Tamworth branch whilst refurbishing 400 Peel Street Tamworth branch. 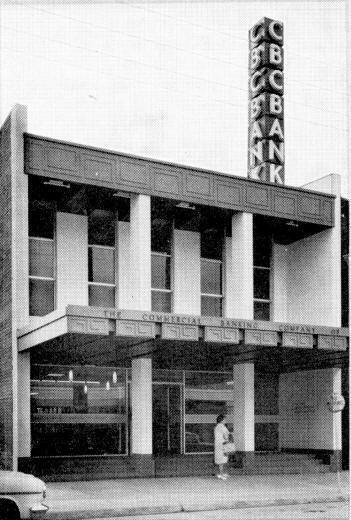 1911 Branch opened October. 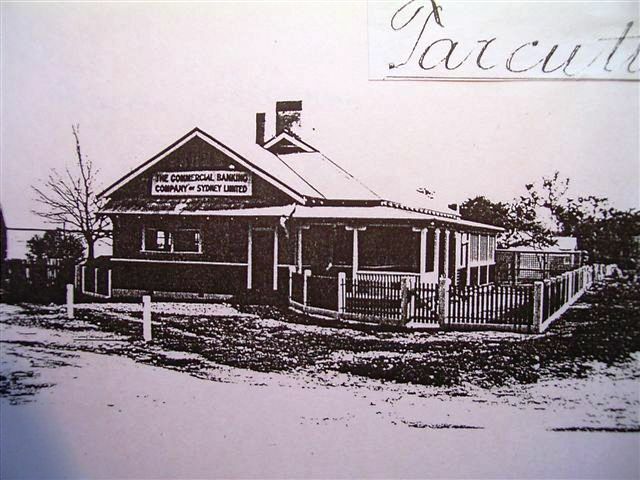 The original branch which opened in 1911 was on the site of the now truck service station south of the existing building. 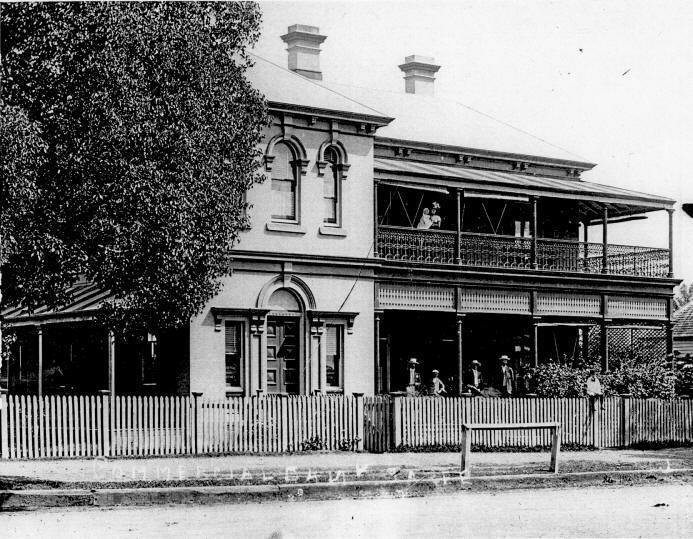 1914 Closed 30 September and business transferred to Wagga Wagga then converted to a Receiving Office of Humula. 1923 12 March converted back to a branch. 1923 7 May Humula branch closed and it was converted to a RO of Tarcutta. 1926 photo courtesy David Jobson.The present building (still existing) was built on land which cost 250 pounds. The building was erected in 1926. 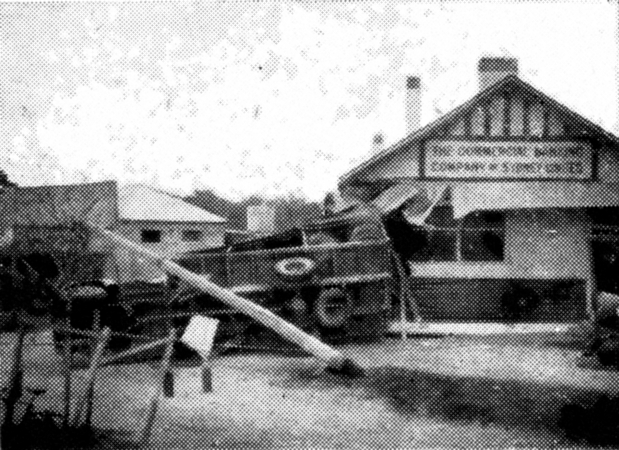 1948 photo of branch impacted by a truck, in Current Accounts December 1950 p25. 1972 25 September Tarcutta branch closed and converted to a Receiving Office of Wagga Wagga. 1977 listed in Annual Report as receiving office of South Wagga Wagga. 2002 October photo by David Jobson. 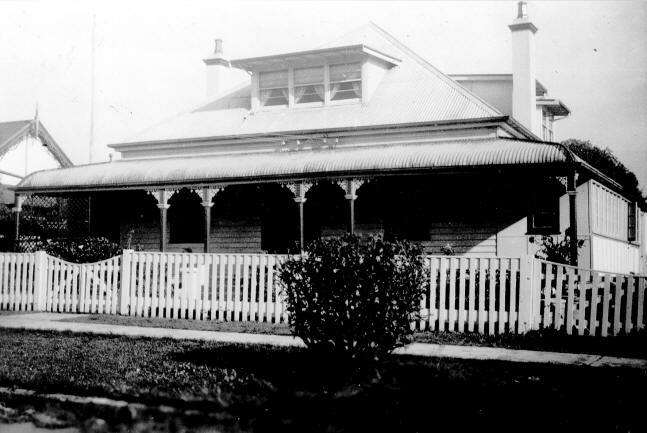 1883 premises in 1915-20 photo (from Current Accounts January 1967) were erected. 1915-20 photo. As business grew, the building was extended. 1952 photo of Branch and residence by Frank Chapman. 1956 the 1883 building was remodelled. 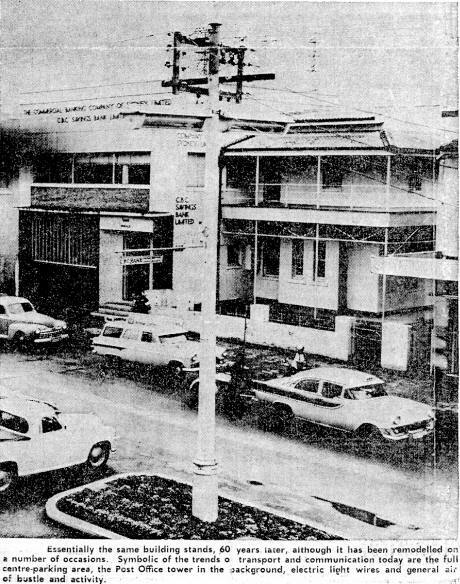 1958 Taree newspaper photo supplied by Taree branch manager Jon Blissett. 1965 the 1883 building was demolished and replaced with new building. 1967 photo from January Current Accounts. 1980 "The Good Old Days from Barrington to Harrington and around the Great Lakes" page 18 had story and photo of 1883 building. 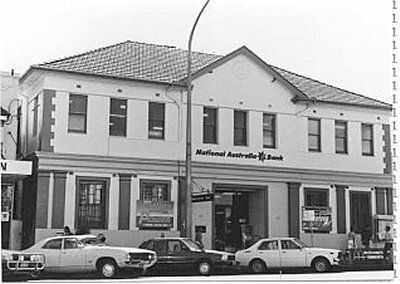 177 Victoria Street (Ex-NBA branch) NAB is Heritage Listed. 2008 March 29 Saturday NAB locations search revealed NAB branch at 151 Victoria St.